The inner workings of Code Bloom brought to life, find out about all the happenings at this Perth florist in our blog. The autumn months of March and April bring an influx of some of the best native flowers in Perth. Florists are spoilt for choice with such a variety on offer. One of the advantages of using native flowers in arrangements is that they are so long lasting. Natives can be left to dry out and still look like an artpiece. There is something calming about bringing the look of nature into your house. Whether it is a few simple stems of proteas, a bunch of gum or a large vase arrangement the effect is still the same. 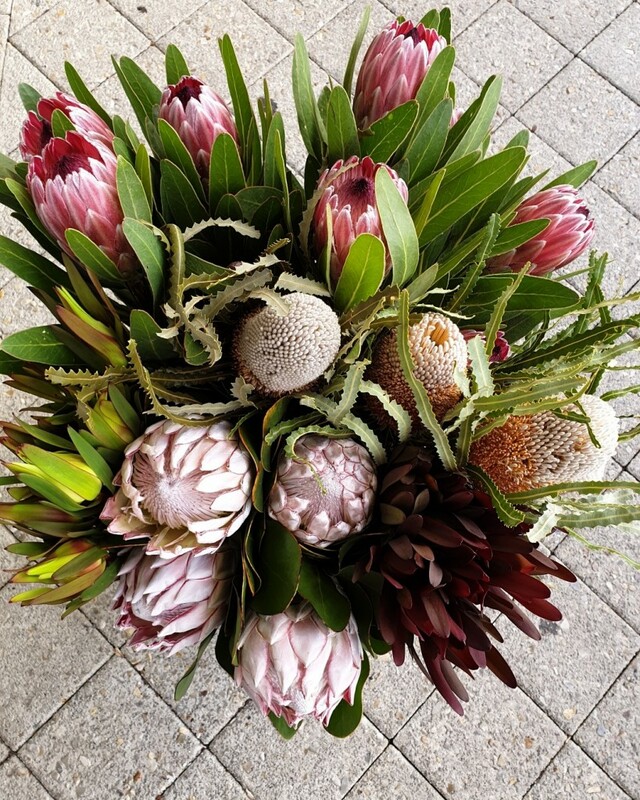 So keep natives in mind over the next few months, we will have a huge selection for you to come and browse – from king proteas, white and pink proteas, leucadendrons and banksias. All our flowers are sold by the stem so just chat to one of our friendly florists and we can help you out with your arrangements. 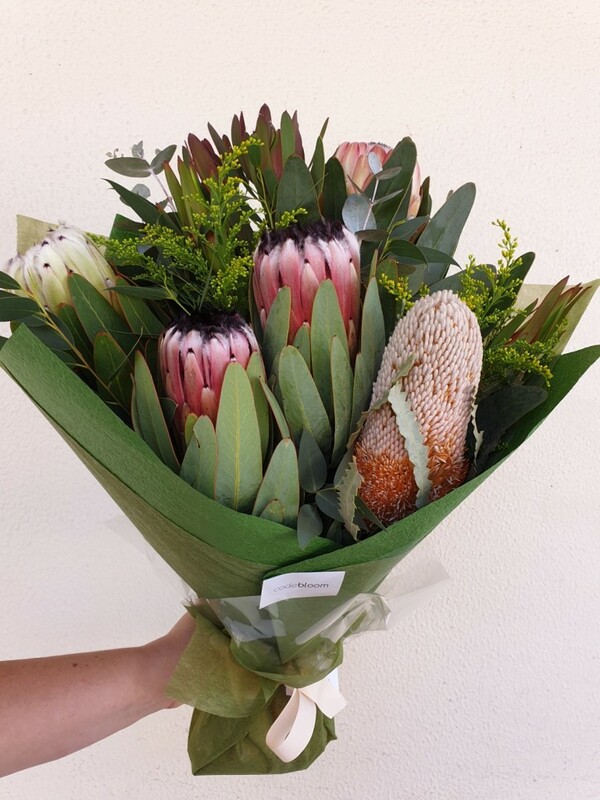 We can deliver native flowers to Perth and suburbs as well so if you can’t make it we can always help you out! Call us now to order your natives today.